This recipe is inspired by our trip to Hawaii where I had my first Dirty Chai Tea Latte, and it was out of this world! Granted, I was sitting on a beach as I drank it, but nonetheless, that taste and combination of coconut oil chai spices makes for a perfect morning start. What Makes A Dirty Chai Latte Dirty? I had no idea at first, but now thinking back it all makes sense. 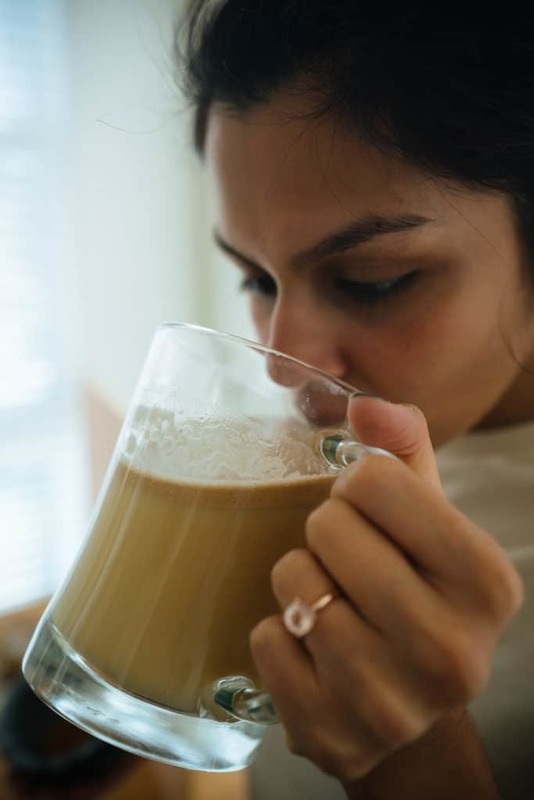 Chai tea itself isn't highly caffeinated. The ones I've seen are anywhere from 30-60 mg. But, when drank in combination with a shot of espresso, which is what makes this drink dirty, you get the caffeine along with the delicious taste. You can easily customize this drink using two shots of espresso, completely eliminating it or just changing up the ingredients altogether. The best part about this drink is that you can make it totally caffeine free if you want to enjoy it at night. You can find caffeine free chai tea and just leave out the shot of espresso. All the flavor, none of the kick! We also have some other great options for low carb drinks from your traditional bulletproof coffee, to turmeric tea and white hot chocolate! Whether or not your a coffee drinker or into caffeine you can still enjoy high fat beverages on your keto diet. This chai tea latte is a great base for something new in your life. 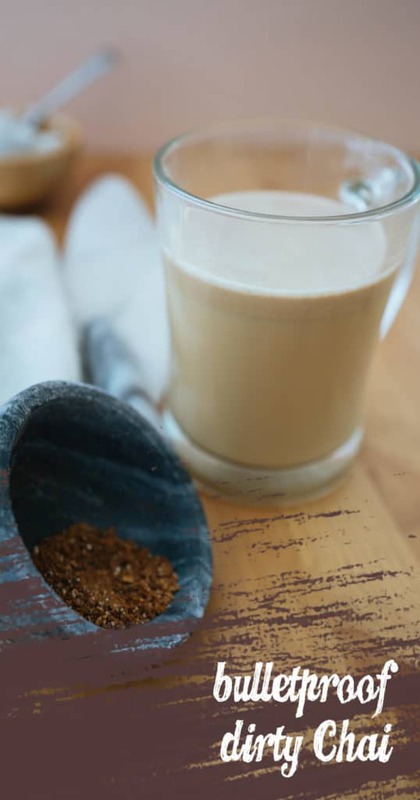 Drinking bulletproof coffee every morning can get boring for many, like myself, so if you're one of those people add this into the mix and you'll no longer feel disappointed by your morning coffee. TIP: Make the spice mixture in bulk and place it in a small jar next to your coffee beans so you always have a quick go to option of a dirty chai tea latte, aside from regular, boring coffee! 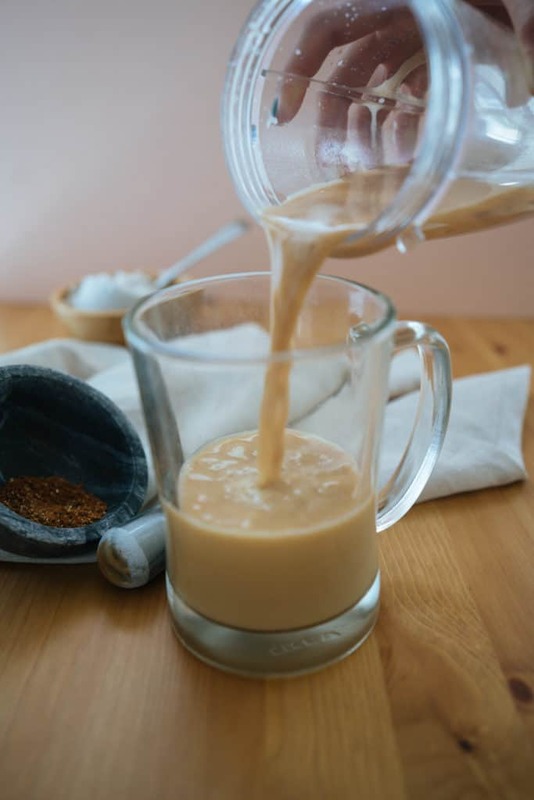 Recipe can be quickly added to MyFitnessPal - Search "KetoConnect - Dirty Chai Tea Latte"
Blend until smooth and uniform in consistency.